This has been the phone case I've been using recently. 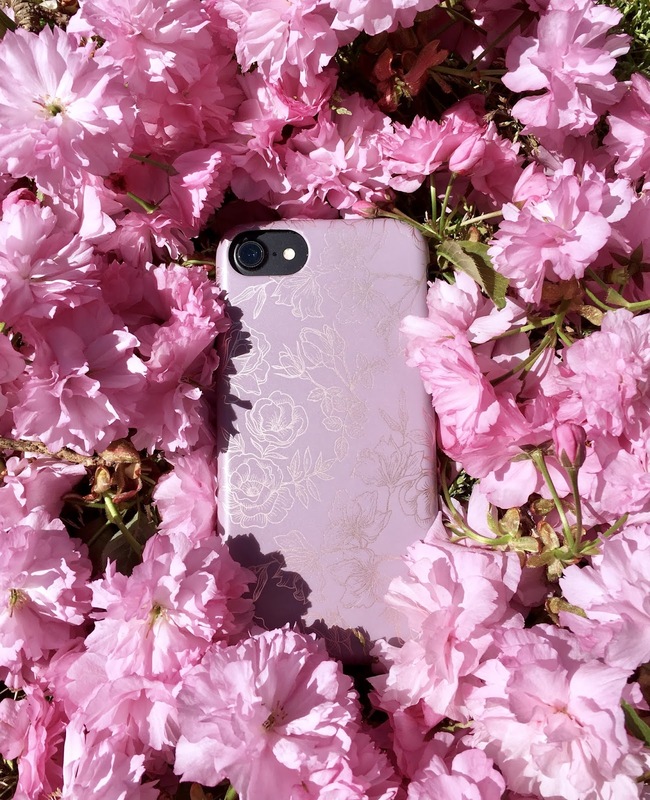 It's the Dusty Rose Chrome Floral case by Velvet Caviar. This phone case is so me! The floral design and mauve color make it very feminine. It's very elegant and chic. As you can see from the photo the flowers shine rose gold when it reflects light which is such a lovely touch. It also is very protective...take it from me as I have tested it multiple times unintentionally! It has a black bumper surrounding the screen to make sure it doesn't shatter. The only thing I don't like about this is it's hard to use the buttons. You have to apply more pressure than you would a regular case. This is the Rose Water case from Velvet Caviar. I'm obsessed with the design of this one. It has a matte finish which I love and all the pink shades are gorgeous. 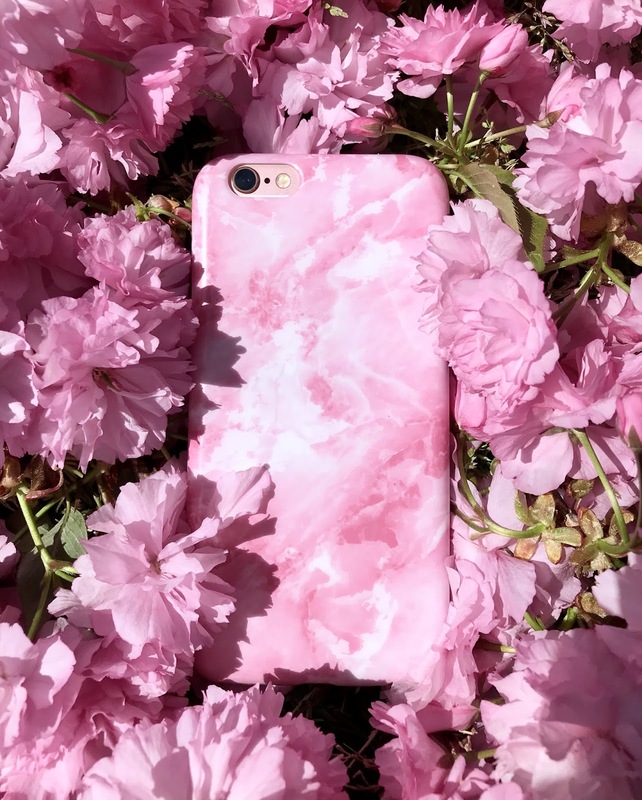 I really like how this phone case is a twist on the classic marble pattern. It's also very protective and has a clear bumper surrounding the screen. Unlike the other phone case it's very easy to access the buttons. Overall, this is a fabulous phone case. Those are the phone cases I've been loving recently. Let me know in the comments below where you like to shop for your cases. How often do you switch up your cases? love the color of the phonecase! it's so pretty and perfect for spring! I love the first phone case. the gold flowers just look so pretty. That is such a stunning phone case! These phone cases look stunning. I might need to update mine! I honestly barely ever switch my cases- I wish I would! Those are super pretty!